Inviting 2 bedroom holiday home near Villefranche-de-Rouergue, Midi-Pyrenees. A wonderful holiday home for the whole family Sleeps 4. Air conditioning. This semi-detached holiday home with air conditioning has been restored to a good standard and great attention has been paid to the little details. 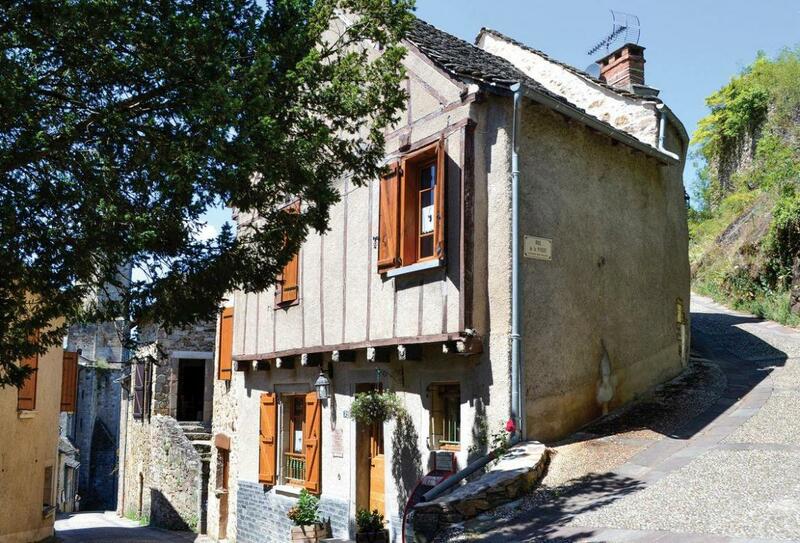 Built just outside the old city walls of Najac, next to the gate of La Pique and a stone’s throw from the castle, this townhouse nestles on a quiet pedestrian street, ideal to explore all the delights that Najac has to offer. Officially classified as one of the most beautiful villages in France, Najac perches on a rocky outcrop along the valley of the River Aveyron, and is dominated by the magnificent ruins of the castle dating from the 13th-century. In addition to numerous cafés and restaurants, Najac has a large public swimming pool and nearby you can hire canoes, go pony trekking and follow one of the via ferrata trails. Shop 1km, restaurant 900m. Ground floor: Lounge/kitchen/diner. First floor: 1 double bedroom. Shower room with toilet and basin. Second floor: 1 double bedroom. Shower room with toilet and basin. Electric heating. Cot. Highchair. Wi-fi. Microwave. Washing machine. Dishwasher. Fridge. Freezer. Microwave. On street parking. Sorry, no pets. No smoking please. NB: Spiral stairs with no handrail. Steps from second floor landing to double bedroom. Sloping ceilings in some rooms.